Ready and waiting for you: a targeted range of care and color products designed to repair, protect, and defend the hair of every client who sits in your chair. From our in-salon professional treatments to backbar options that seamlessly take you through your day, we’ve got you covered. 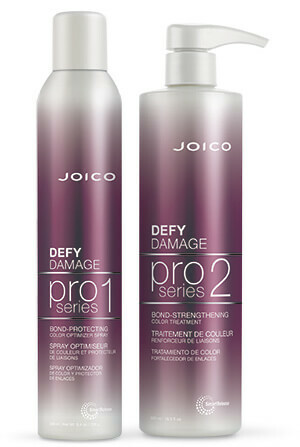 Protect all hair types from the ravaging effects of daily heat styling, UV exposure, and environmental pollution that lead to dry, dull, lackluster locks with Joico’s NEW Defy Damage haircare system. This damage- defying breakthrough helps protect and strengthen hair bonds for a healthy-hair transformation you can instantly see and feel. Luster Lock makes a perfect add-on service in the salon. 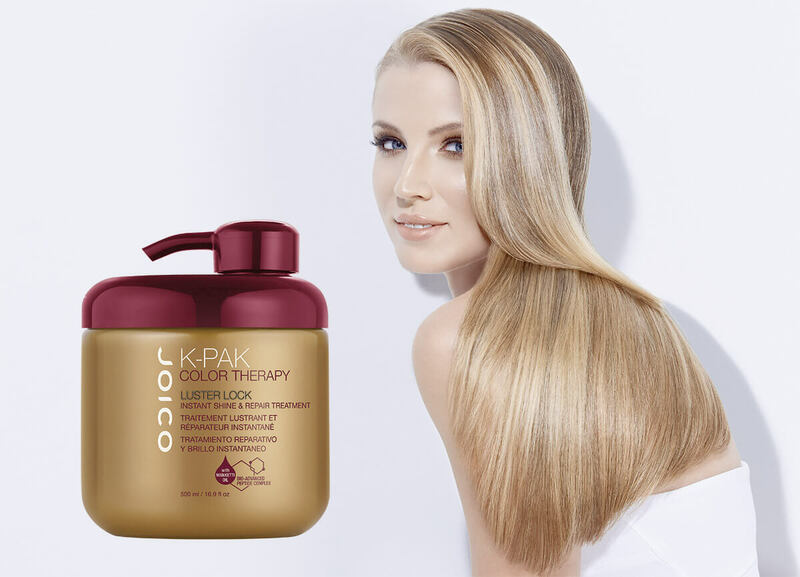 Offer your color clients a Luster Lock treatment at the backbar while they’re getting their color service for instant softness, shine, manageability and color vibrancy, then send them home with a tube for stronger, healthier hair with every use. Apply to damp hair or on dry hair as a “pre-shampoo” treatment! 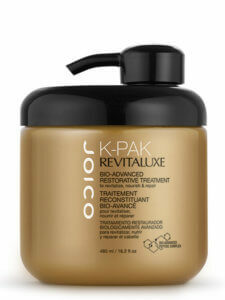 Apply between foils or to hair lengths while base color is processing, then shampoo out with haircolor. 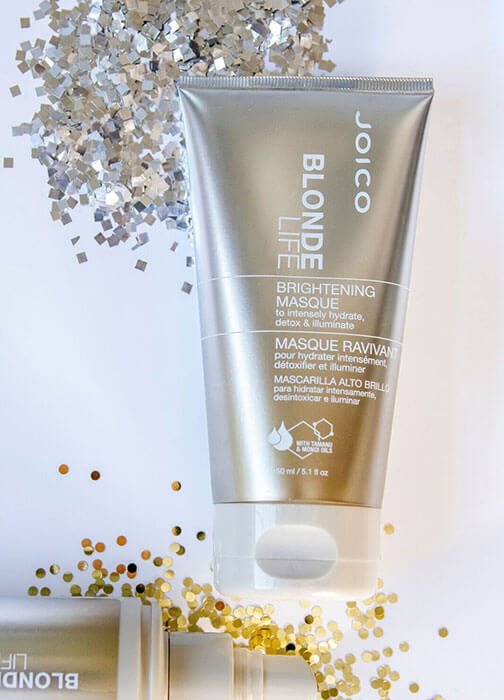 A quick-acting product designed to hydrate, soften, and illuminate blonde hair, by neutralizing chlorine and removing those nasty trace minerals known to turn a gorgeous head of blonde hair into a dull, yellowy mess. 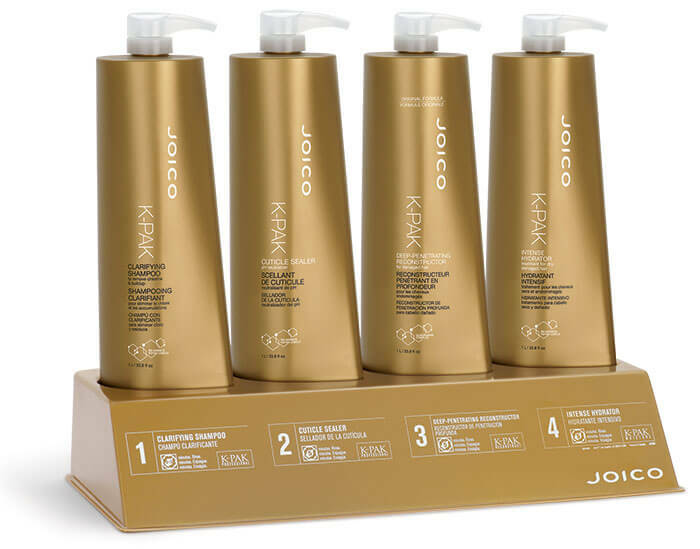 The perfect companion for Blonde Life Shampoo and Conditioner, this instant treatment transforms bleached, brassy, fried hair into soft, glossy, reflective strands that have body and elasticity—the kind that makes everything move, bounce, and shine in that I-want-her-hair way. Perfectly formulated, tone-correcting pigments that instantly neutralize undesirable brassy tones in blonde, brunette, and gray hair. Introducing Color Intensity Color Butter…brilliant, ultra-moisturizing hybrid to amp up the richness of high-beam hair color or add a pop of color to blondes who want to shake things up. 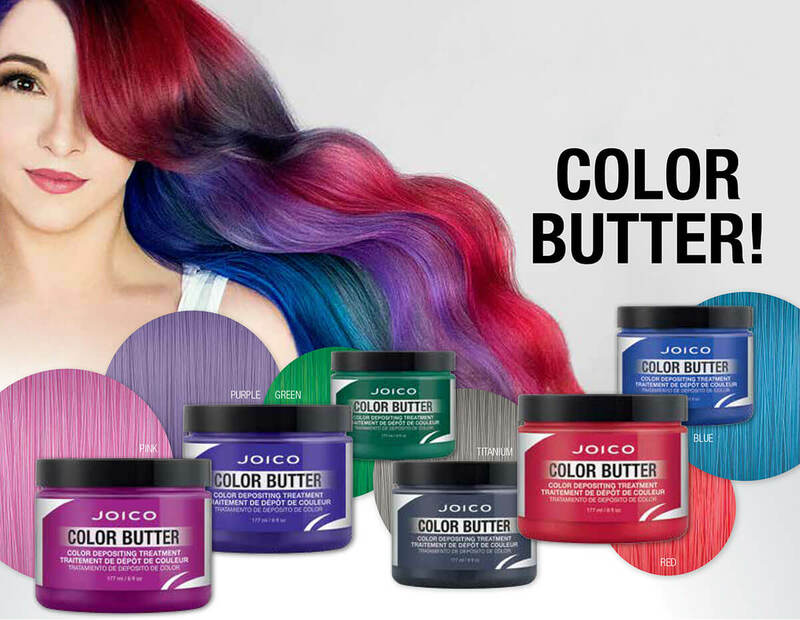 Formulated with Joico’s state-of-the-art technology–including restorative Arginine, and powerful Bio-Advanced Peptide Complex™ to strengthen and repair hair–Color Butter is designed to fuse fun and fashion with serious care. 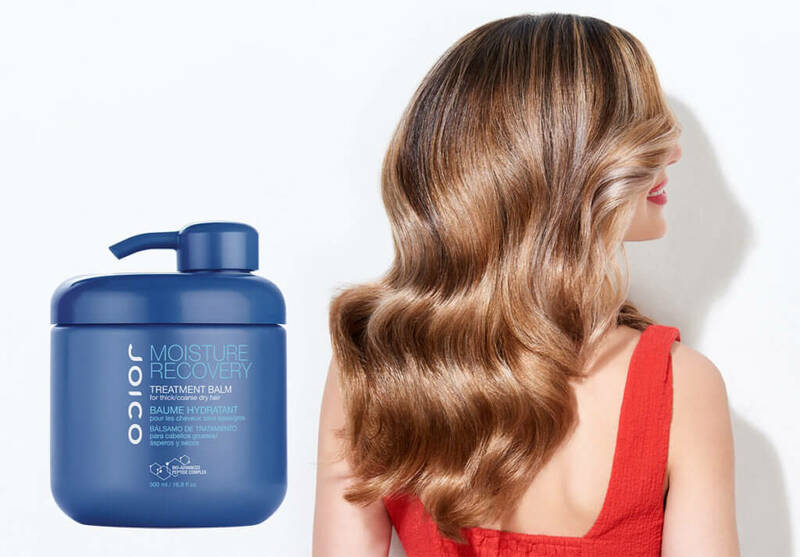 Parched strands become completely quenched, gloriously glossy, and silky to the touch; that’s because Color Butter strengthens weak, pre-lightened hair, restoring vital moisture levels that leave hair frizz free and amazingly responsive to styling. As for color? The sky’s the limit: Extend the life of your client’s investment shade for up to 10 shampoos with our unique rainbow pigments that give you the freedom to touch up dipped tips or even create whimsical pinwheels in a flash! The possibilities are endless. Color Butter offers a rich-yet-weightless treatment that gives you the pop of a temporary color with intense conditioning benefits. Top Coat: Add anti- fade insurance with a punch of vibrancy by adding this service to your hair color menu. Apply a corresponding shade of Color Butter to towel dried, freshly colored hair following the shampoo/ rinsing step. Unparalleled longevity with an added boost in condition, shine and color vibrancy. Color Refresher: Either add a “Color Refresher” service to your color menu or retail Color Butter for a self-service color refresh. When your shade starts to fade, apply to clean, dry or damp hair, wait 5 minutes and rinse. Get up to 10 shampoos of vibrant, reflective, healthy color revival in one 5-minute step. Color Without Commitment: Afraid to commit, natural blondes or bottle blondes can wear a fashion shade that lasts up to 10 shampoos. Apply to clean, dry or damp, natural blonde or pre-lightened hair (at least a level 7),** wait 5 minutes and rinse. Use one of our 6 dynamic shades or create custom shades** from vibrant to pastel that last for up to 10 shampoos. Five minutes. That’s all it takes for this super-hydrating rescue worker to come to the aid of your client’s hair. 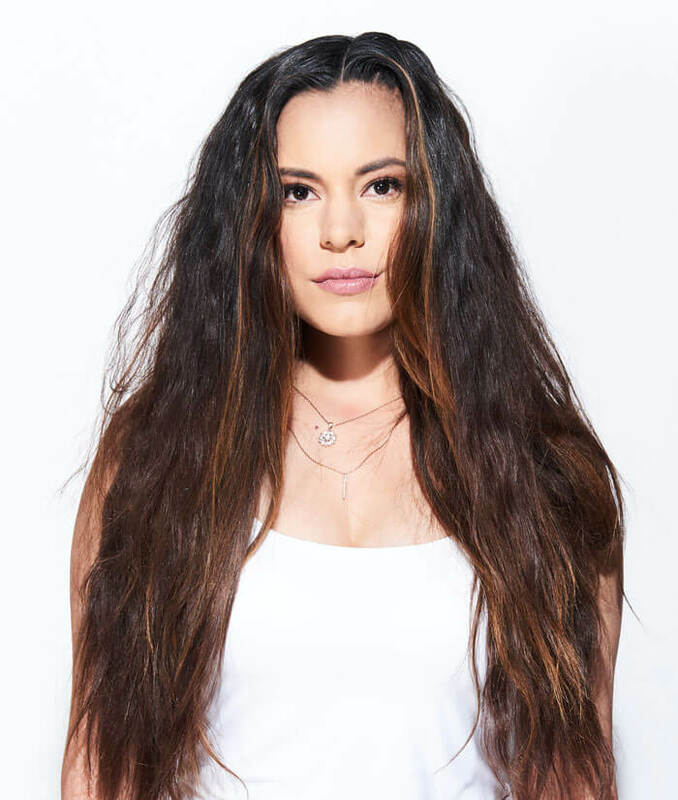 We’re not just talking about bringing in big-time moisturizers to banish the driest of strands; but the ability to actually increase hair strength and reduce breakage.